Interested in virtual training? Learn about all our available courses, dates and training benefits. 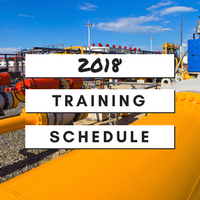 PetroSkills is excited to announce the 2018 training schedule! With hundreds of courses spanning the oil industry value chain, you can find the course you need, where you need it. Basic Petroleum Technology is a multi-disciplinary course that appeals to many different groups of participants. Get an inside look at the course, its participants and the learning environment.